Open by Appointment all Easter Weekend. From the street, 14 Bay Road is a charming, impeccably maintained Federation bungalow with a white picket fence and large beds of lavender. But don’t leap to any conclusions. There is a lot more to this home than its’ facade. Inside, a corridor of richly gleaming original floorboards leads through the older part of the house to an ultra-modern new area that is a masterclass in how to build the perfect extension. Renovated and extended, numerous original features remain to reprise past elegance – such as high ceilings with roses, lead-light front door and attractive fireplaces. But the home is now filled with natural light through clerestory windows, skylights, French doors and tall original windows. Many windows have plantation shutters and new LED lights run right throughout the home. Off the main corridor are four bedrooms, including the serene, spacious master suite – which stars the most superbly fitted dressing room ever – and a luxurious 5-star bathroom. Then, beyond a small sitting room, you enter a big, bright, modern family area with modern kitchen plus meals and living areas. All of this with a huge expanse of glass that overlooks a private walled garden with a huge deck and landscaped pool. Poolside, there is a separate building with an independent apartment ideal for a teenager or guests. Bay Road has so many advantages – too many to list here. But, if you’re familiar with Claremont. you will know it is close to several primary and some of the best private schools in Perth including MLC,PLC, Christchurch and Scotch. The University of UWA is close-by as are many beautiful parks, with of course the Swan River at the other end of the street. You are spoilt for choice of shops with Claremont Quarter as your local shopping centre and the local IGA only a short walk up the road. Cafes, GPs, beauty salons etc are plentiful in the area. In fact, this address is virtually at the centre of everything. Even Cottesloe, the ocean and gorgeous beaches are only ten minutes away, while the city is a similar distance in the other direction along scenic Mounts Bay Road. The silky smooth, skilful way in which this exceptional home combines the quiet charm of a bygone time with all the comfort and excitement of today’s busy lifestyle is a joy to behold. 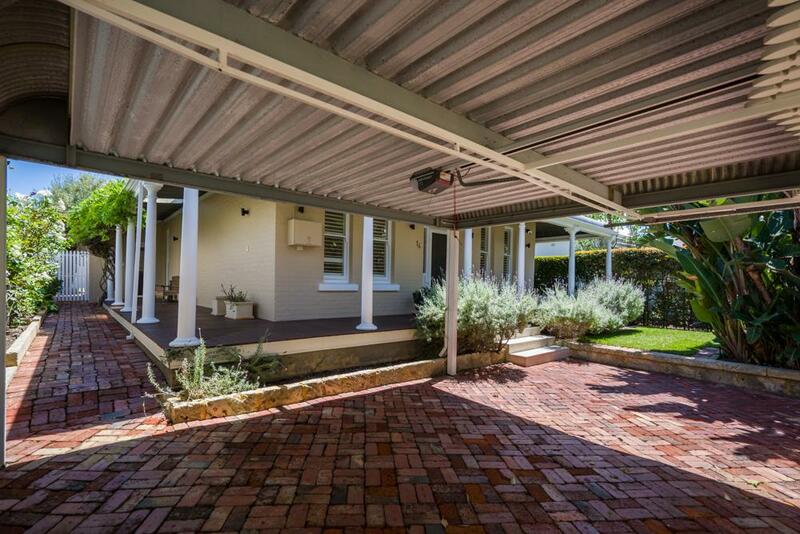 14 Bay Road has glamour and enormous appeal. Make sure to see it as soon as you can.